The German Panzer VIII tank of World War II, codenamed the Maus tank, was intended to be the biggest, best-armored and most powerful tank ever built – and the prototypes that were built succeeded in achieving these goals. However, the Maus tank, initially called the Mammut (mammoth) tank, never ended up seeing combat, so we can only speculate about how effective they would have been in battle. Some historians believe that if enough of them had been produced and deployed, Maus tanks could have changed the outcome of WWII. Others, however, believe that even if Maus tanks had rolled across the battlefields of Western Europe they would have been too hampered by their lack of mobility and range to have really changed the course of the war very much. Nonetheless, simply by virtue of the fact that the prototypes that were built are to this day the biggest and heaviest super-tanks ever made, make the Maus tank an awe-inspiring item of military hardware. 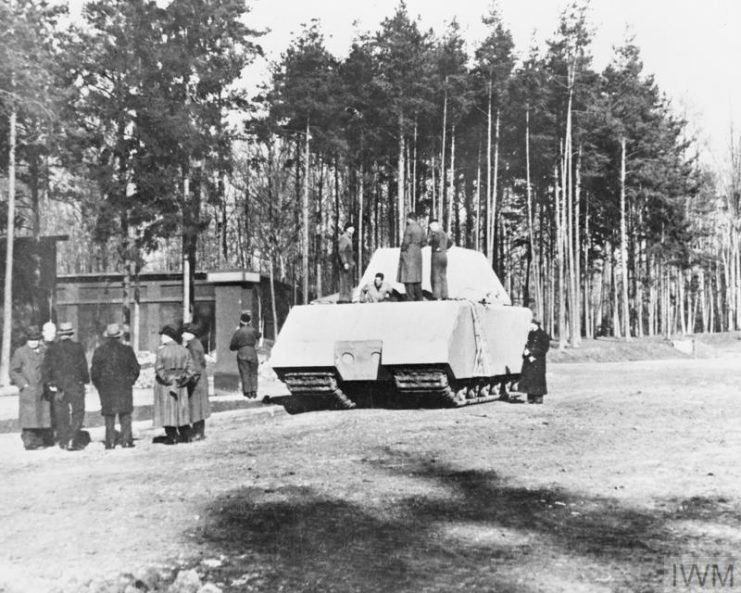 The Maus tank was a logical if somewhat impractical outcome of the general mindset of Nazi military engineering. Considering that they were obsessed with the relentless pursuit of attaining ever more advanced technological breakthroughs and building bigger and more powerful pieces of military equipment, it came as no surprise that Hitler and his Nazi military command wanted to build the mother of all tanks. The effectiveness of tanks in battle had been proven quite conclusively in WWI, and development in tank design had advanced in leaps and bounds in the decades since then. Most of the nations who fought in WWII had at least one heavy tank design in their military arsenal. Hitler was aware of this, and wanted to construct a heavy tank that would not only stand head and shoulders above the competition, but indeed tower over them like a colossus. With this in mind, design on the Maus began in 1941. With Professor Ferdinand Porsche overseeing the design process, which took place at the Krupp Munitions Works, plans for a gigantic 188 ton tank – weighing over four times as much as the heavy tanks the Allies were developing at this time – were drawn up. The idea behind this monster of a tank was that it would be virtually indestructible – a moving bunker, essentially. 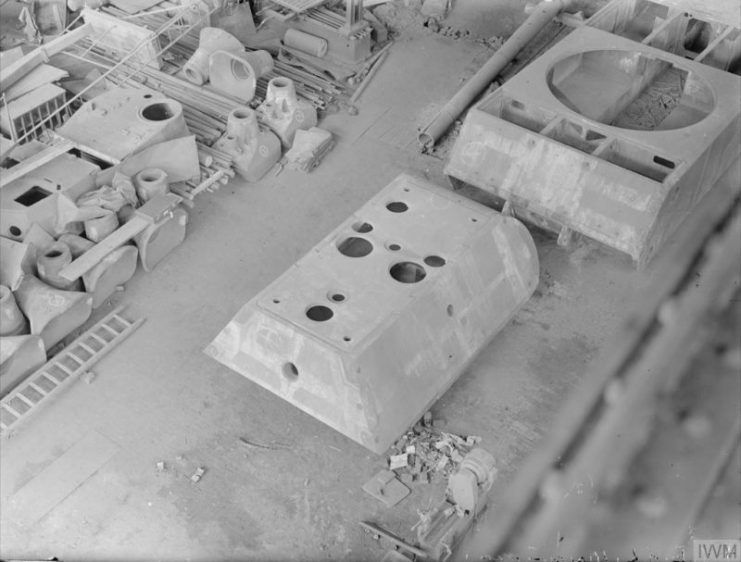 To this end, the Maus was to be armored with 200mm hardened steel, theoretically making it pretty much impervious to any Allied tank cannon or infantry weaponry. The heavy armor extended down in an armored skirt that covered the tank’s tracks, to protect them from attack and therefore immobilization. 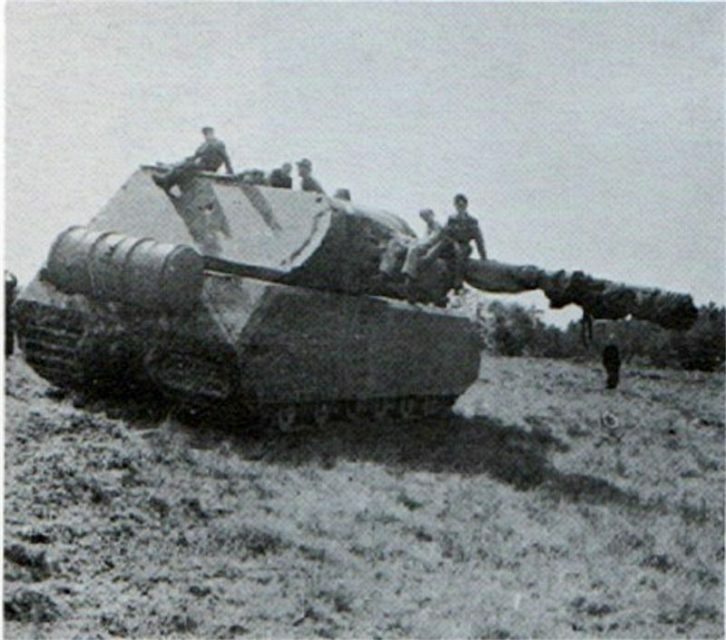 That contributed significantly to the Maus’s immense weight. While the massively-thick armor did indeed make the Maus a moving fortress, impervious to anything but the most powerful bombs, it also made mobility a problem. To move 188 tons of hardened steel, a monstrously powerful motor was needed. A few different motors were tried out, with the engineers finally settling on a diesel motor that put out around 1,200 horsepower. 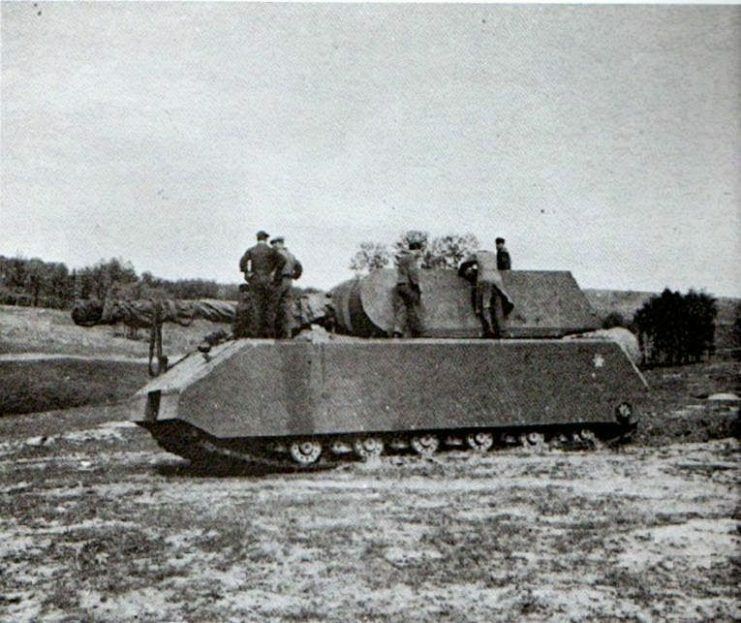 Even with this motor’s impressive torque, the Maus was only able to creep along at a maximum speed of a mere 12mph – and that was on flat ground in ideal conditions. The enormous motor also guzzled an enormous amount of fuel, and this meant that the Maus had a far shorter range than other tanks, as only so much fuel could be carried onboard. In addition, the huge quantity of diesel fumes meant that a complex ventilation system had to be designed in order for the tank crew to actually be able to breathe. A further problem presented by the Maus’s massive weight was the fact that it was simply too heavy for almost any bridge that existed in Europe. 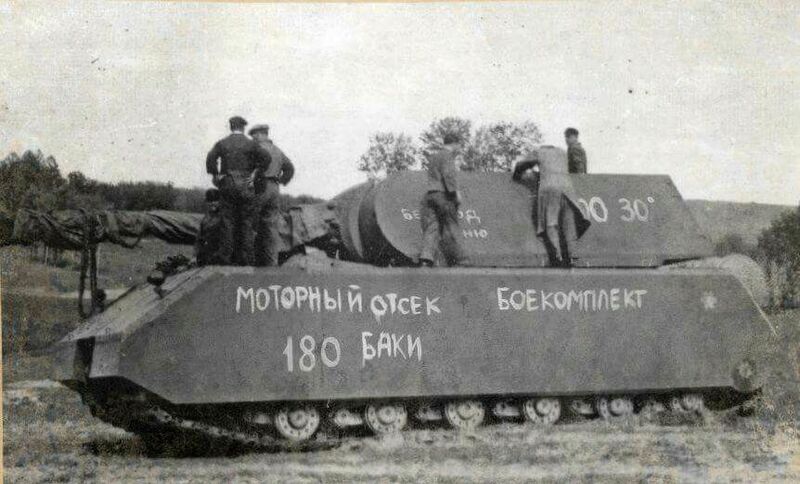 Because it was also too heavy to be ferried across rivers, the engineers had to think hard to figure out how to get their gargantuan tank across bodies of water. To do this, they came up with a large snorkel system that would allow the tank to be submerged up to a depth of 45 feet (8 meters), thus enabling river fording. 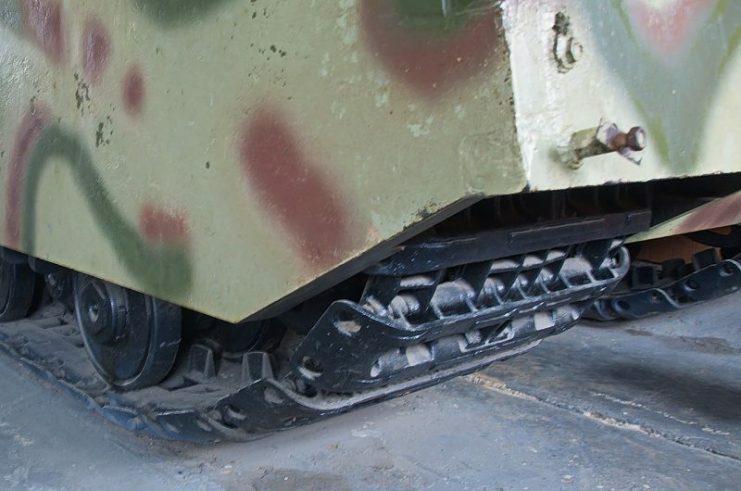 The Maus was also designed with a width that would enable it to be loaded onto rail cars, which would be an effective way to bypass its fuel range limitations. In terms of firepower, the Maus was intended to be as intimidatingly potent as it was indestructible. The main gun, mounted to the turret, would be a 128mm gun (with 150mm and even 170mm guns being proposed as alternatives) capable of destroying any Allied tank at a range of up to two miles. A secondary turret gun, a 75mm antitank gun, would handle lesser armored vehicles. Instead of the usual 7.9mm machine gun, the Maus was to be equipped with an antiaircraft machine cannon in the turret roof, as well as a smoke grenade launcher. With this level of weaponry, the Maus would have outgunned any Allied tank by a long way. In the end, though, the Maus was deemed simply too impractical and too wasteful of resources to produce. While Hitler initially wanted 150 Maus tanks, he ended up canceling this order. Only two prototypes were ever produced. 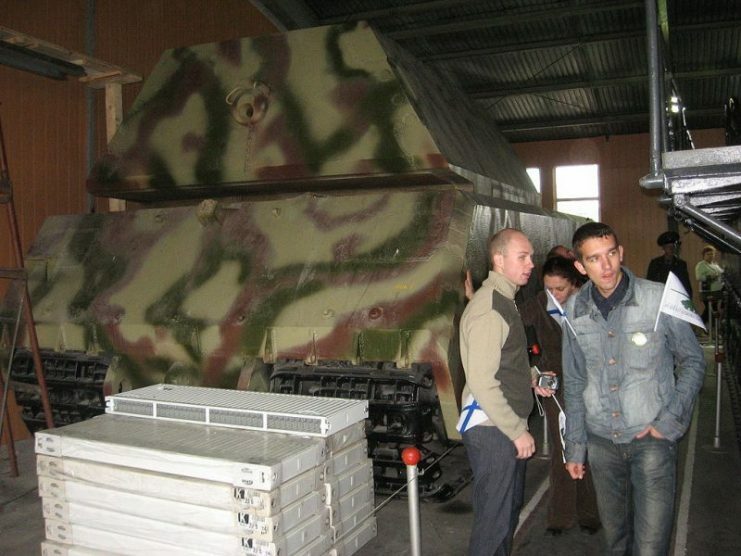 One was blown up by the Germans at the end of the war, to prevent it from falling into enemy hands, but the other was captured by the Soviets, and today is housed in the Kubinka Tank Museum in Moscow. 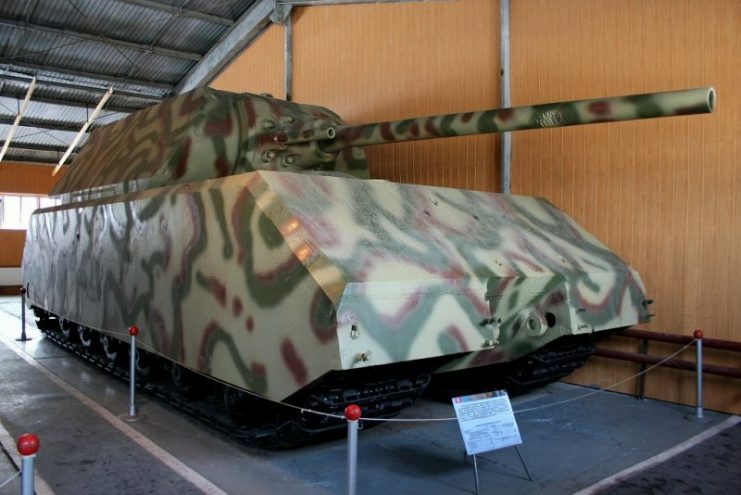 The Maus may not have ended up seeing combat, and its potential effectiveness or lack thereof in terms of the outcome of the war is the subject of much debate, but one cannot help but be impressed by the sight of the largest tank ever built.